The book is available online from my Publishers directly at CreateSpace. It is available from Amazon.com, and other internet retailers in the USA. 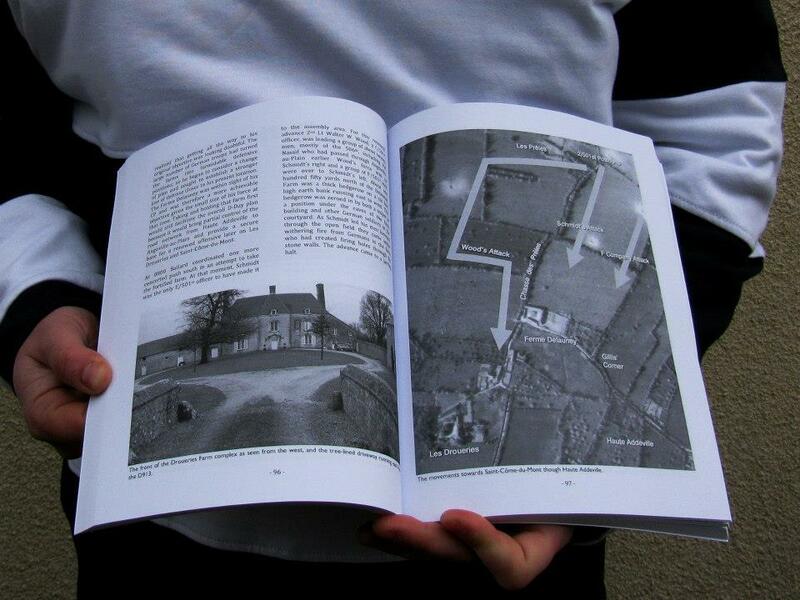 It is also for sale at Amazon UK and other online book stores in the UK. The French language edition will be available sometime in 2017. Finally, I usually have copies for sale with me when I am touring in Normandy. USA Today covered the story in 2014 for the 70th anniversary and my book is referenced by Jim Michaels the writer. You can read reviews here on Goodreads. ​The story is also told in the PBS WWII Foundation documentary Eagles of Mercy - a project on which I helped. I fact checked the script for film-maker Tim Gray and helped with photos and images and organising WWII re-enactor footage for the production - all shot on location around the church. Watch the trailer on YouTube. "Paul Woodadge has a laser-like instinct for detail. As one of the world's foremost battlefield experts, he knows every nook and cranny of Normandy. 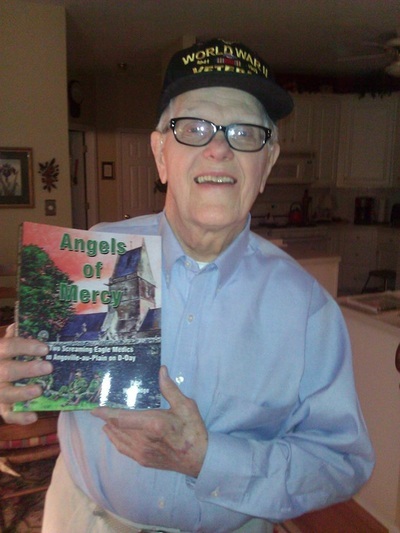 Brilliantly illuminated and well-researched, Angels of Mercy tells a previously lost chapter of WWII history. It is a great read that captures the stories of the participants and honors their valiant efforts." 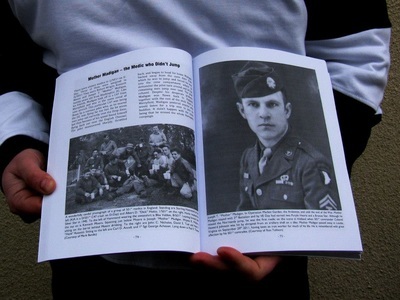 "A fascinating look at a heroic action in WWII by the best battlefield guide in the business." "Paul Woodadge brings those desperate days of June 1944 in Normandy to life again in this fascinating and moving tale. This is intimate history, as the participants experienced it, American, German, and French, written by one of our finest battlefield experts. If you want to know something about what the Normandy fighting was really like, you should read this book." “Paul Woodadge has created a superb book. 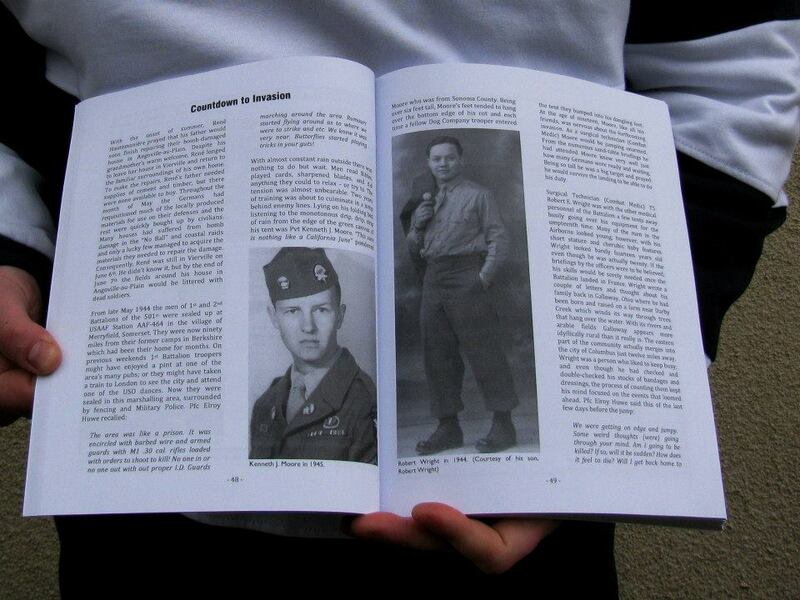 It is a tremendous addition to our understanding of the momentous events that occurred in Normandy in June 1944." "This well-researched book describes in great detail, the bloody losses sustained by paratroopers of the second battalion, 501st Parachute Infantry Regiment, of the 101st Airborne Division, in the first crucial 48 hours of the D-Day Invasion. The efforts of this battalion succeeded in halting and disrupting German forces east of Saint-Côme-du-Mont, France. Their heroic sacrifices prevented substantial German reinforcements from attacking the US sea-borne units, which were debarking on Utah Beach. Paul Woodadge's vivid account brings to light a series of actions, by medics and combatants alike, which have been too-long ignored in previous WWII literature." 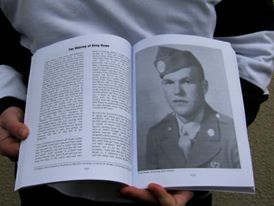 "This is the story of one of D-Day's most inspirational battles; one set in a church and fought by two American medics. 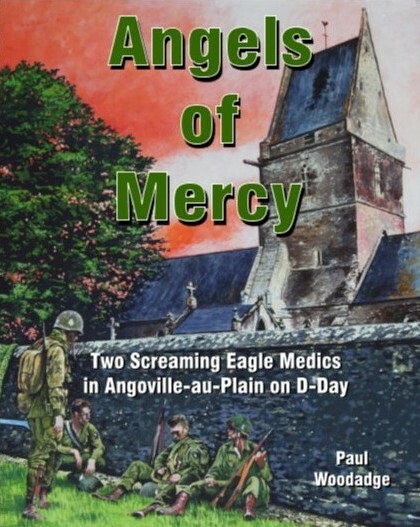 In this fresh and powerful book, Paul Woodadge gives a voice to old heroes and a soul to one of World War II's holiest of sites, the church at Angoville-au-Plain." 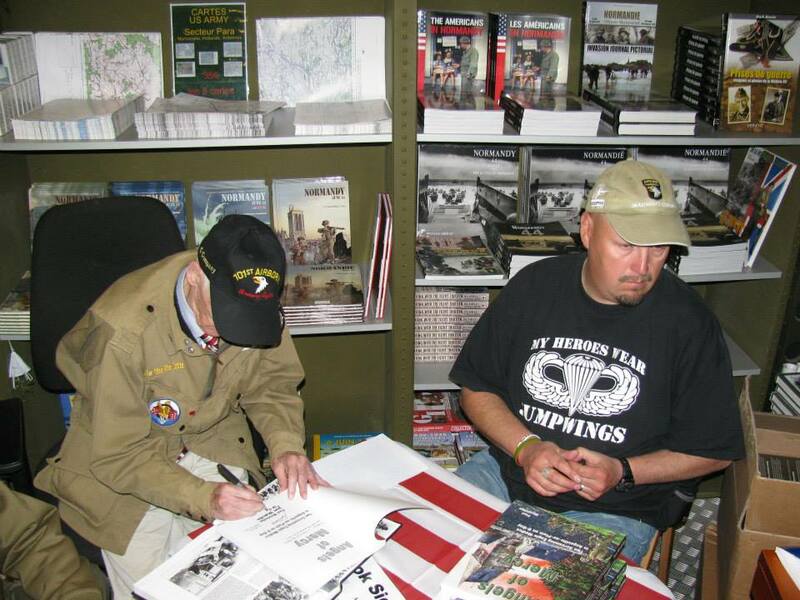 “Internationally recognized D-Day historian and tour guide Paul Woodadge vividly tells the riveting story of Angoville-au-Plain, the French hamlet where one of the most inspirational stories from June 6 1944 took place. After landing in the middle of the night, off-target and without their equipment, American medics Bob Wright and Kenneth Moore, made their separate ways to a town that lived sleepily for two millennia and established an aid station in the thousand year old church where, over three days, they treated over 80 soldiers from both sides and faced down death repeatedly. The book reads as if Dashiell Hammett was a historian, as Paul gives life to the men who fought there, the desperate and brave townspeople who woke one night to fighting in their midst and even the church whose pews are still stained by the blood of the wounded. In the end, Paul gives us a unique perspective that is not just about the brutal combat, but is more a touching story about the people themselves: the men, women and children who made and, gratefully, shared, the history. Especially importantly, Paul devoted to telling the story through the words of the participants themselves and he unfailingly treats fact and rumor seriously, which distinguishes him from many other authors. Paul’s status as a historian and tour guide is secondary to his devotion to, and admiration of, those who sacrificed. This is an absolute must read by itself for the messages of humanity and sacrifice, and is invaluable for any historian trying to better understand the desperate fighting of those early days in June 1944"